Edwin R. "Ralph" Snelgrove of 8 Usher Avenue, Plainville, was born September 17, 1895 in Windsor, Connecticut, son of English born parents Florence Virginia (Gee) and Edwin S. Snelgrove. 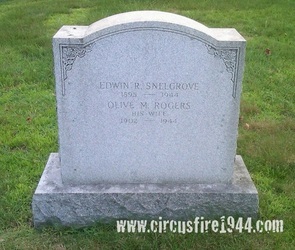 Ralph and his wife, Olive, 42, were found dead at the circus grounds after the fire on July 6, and were buried at West Cemetery in Plainville after services at the Bailey Funeral Home on July 8. 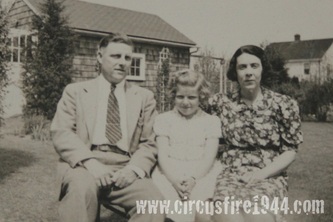 Ralph and Olive’s only daughter, Shirley, attended the circus with her parents to celebrate her twelfth birthday on that very day and was seriously injured. 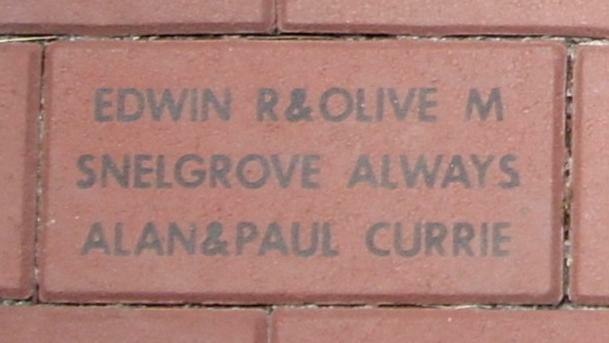 In addition to his daughter, Mr. Snelgrove leaves his sister, Muriel, 42, and four brothers: Frank G. Snelgrove, 50; Percy J. Snelgrove, 44; William R. Snelgrove, 38; and Sidney J. Snelgrove, 37. Body #1566 was identified at the State Armory as Edwin Ralph Snelgrove on July 6 by Dr. Frank G. Boardman, a Plainville dentist. Ralph’s estate was awarded $15,000 by the arbitration board. The Snelgrove family sat opposite of where the fire started, and they rushed to the top of bleachers when the tent ignited, but they feared the 12’ drop and headed toward the exit. Shirley became separated from her parents at the animal chutes and decided to return to the top of the bleachers and this time she jumped, and was dragged outside to safety. Her parents remained inside the tent when the roof collapsed. Ralph, most recently employed as an assistant secretary at Adkins Printing Company in New Britain, had worked as an assistant treasurer for Commercial Trust Company in New Britain as a young man in 1924. With two co-workers, Ralph confessed to forgery and embezzlement as part of a scheme where the men were investing the money in the stock market. 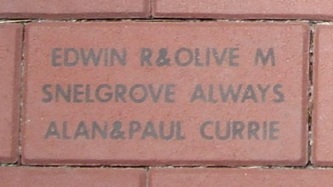 Two days after Ralph married Olive, he was arrested. 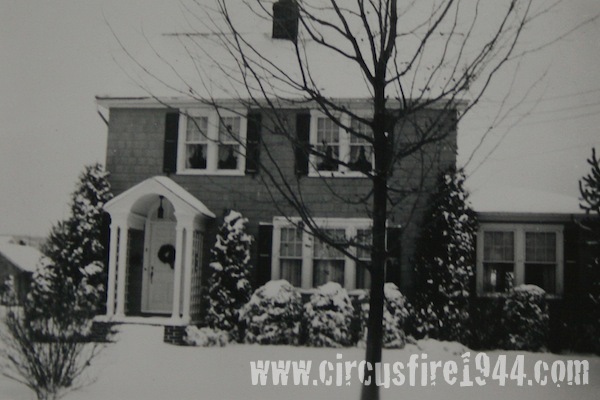 The warrant for his arrest was served by New Britain Police Department detective Edward J. Hickey, who would serve as the State Police Commissioner in 1944 during the circus fire tragedy, and would also be in attendance at the circus that day with several nieces and nephews. 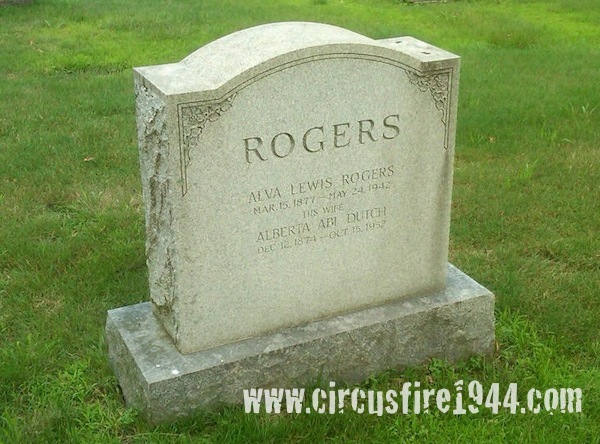 Also in the circus audience on July 6, 1944 was Hugh M. Alcorn, who in 1924 was the State’s attorney who prosecuted Mr. Snelgrove in the embezzlement case. Each of the defendants was found guilty and sentenced to 3 to 5 years in prison. Also of note, Ralph’s youngest brother, Percy, had a grandson who was born in 1960, Edwin “Ned” Fales Snelgrove, Jr., who would serve 11 years in prison for murder in 1988, and he would kill again 2 years after being released. 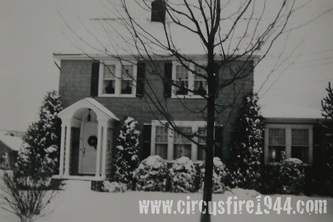 Considered a serial killer, Ned is scheduled to spend the rest of his life in a Cheshire, Connecticut prison. His crimes have been the subject of a book and a couple of television segments.